the Paladins' game against Citadel Saturday. Photo courtesy of Furman. It's trying to help secure Furman's second FCS playoff bid since 2006. 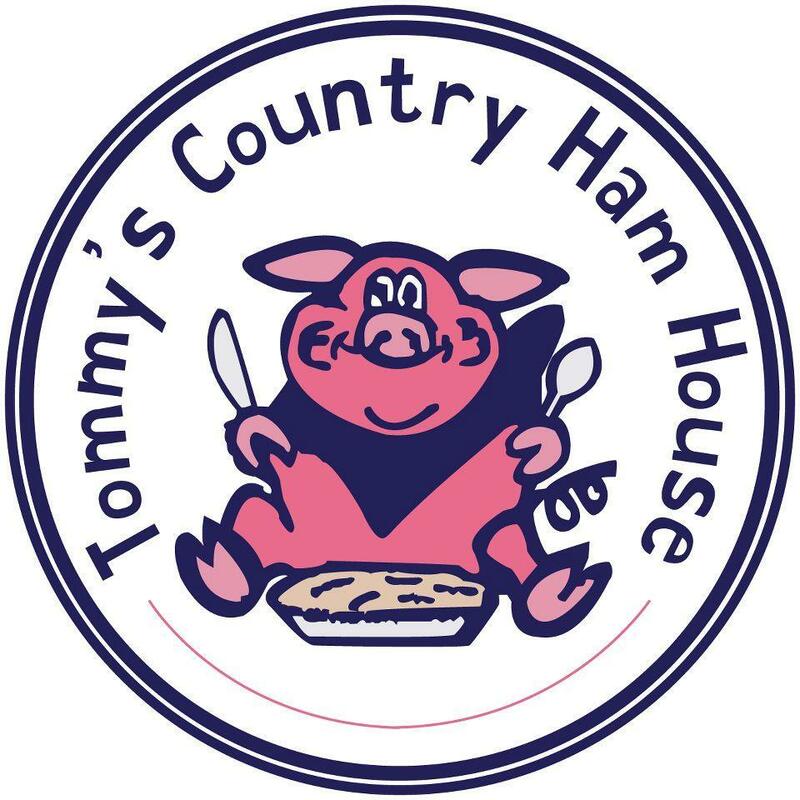 It's trying to stay in contention for a Southern Conference championship. It's trying to extend the Paladins' winning streak to seven for the first time this century. Yep, there are just a few things on the line Saturday at 2 p.m. when the Paladins host Citadel as the SoCon's oldest rivalry has its 97th meeting. No. 21 Furman (6-3, 5-1 SoCon) is looking to stay near the top of the SoCon standings as the Paladins and Wofford are the only teams with one league loss. The Terriers (8-1, 6-1) can lock up the SoCon's automatic bid to the FCS playoffs with a victory Saturday at 0-10 VMI. 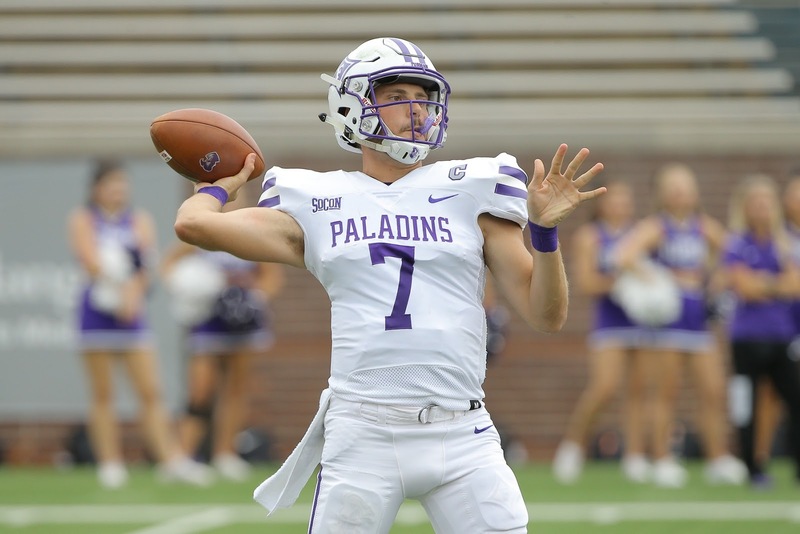 Therefore the Paladins likely need to win out to earn a share of the SoCon championship and add a league-best 14th title year to the exterior wall of the old locker room at Paladin Stadium. Furman has two very different challenges in getting there with the Bulldogs on Saturday and a road trip to face the Bulldogs of Samford next Saturday. In SoCon play, Citadel leads the league in rushing offense (304.4 yards per game), while Samford leads in passing offense (375.7 yards per game). First things first though as Furman goes for its seventh consecutive win Saturday - a feat last accomplished in 1999. With a bye last week, the Paladins have had two weeks to prepare for Citadel's potent triple-option attack. Furman has also had two weeks to add more wrinkles to an offense that will be facing a Bulldogs' defense that ranks No. 1 in SoCon play, allowing just 313.1 yards per game. While Furman's dynamic duo of fullbacks Kealand Dirks and Antonio Wilcox have combined for more than 1,000 yards rushing during the six-game winning streak, they have gotten there through tweaks to the offense seemingly each week. Those tweaks have helped Furman average a league-best 36.3 points and a whopping 6.5 yards per play in SoCon games. The Paladins are second in league play in total offense (453.2 yards per game). In other words, the offensive minds of new head coach Clay Hendrix, new offensive coordinator Drew Cronic, new associate head coach George Quarles and the rest of the staff have meshed well. Unlike many coordinators, Cronic works from the sideline while Quarles works as the eyes from above in the press box. "We've had a few hiccups and we make those adjustments as we go, but for the most part it's gone smoothly. We're all on the same page," Hendrix said. "I've always been on staffs where everybody has gotten along, but this is as cohesive a group staff-wise as I've ever been around - offensively and defensively. "I think there's something to be said for guys that are winners and guys that are smart." Hendrix said when he was seeking an offensive coordinator he was intrigued by Cronic's ability to take the wing-T "to another level." 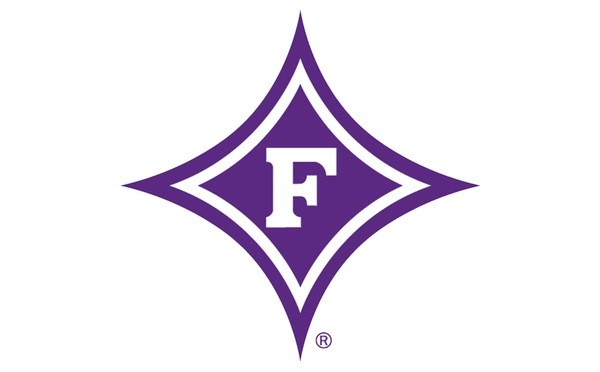 Cronic joined Furman's staff after serving as head coach at NAIA member Reinhardt, where his squad averaged 51.1 points and 550.6 total yards a game last season. "Watching some stuff Reinhardt did, I thought it was a good mixture of stuff I wanted to do," Hendrix said. "That's how it all started. Then George had become a (shot)gun RPO (run-pass option) guy who was really innovative offensively." Hendrix and Cronic also coached together on Bobby Lamb's staff from 2002-06. Hendrix said Lamb hired Cronic over current Georgia head coach Kirby Smart, who was at Valdosta State at the time. "I'd recruited Kirby in high school and it was obvious he was going to be a good coach, but he's a defensive guy. We needed a receiver coach. Drew had been coaching at James Madison at the time, but he's from Georgia and that's kind of how he got with us," Hendrix. "He's really demanding of our guys, and a no-nonsense, smart coach." Receivers/special teams coach Brian Bratton was a player during the years Hendrix and Cronic coached together under Lamb. Bratton, who was the lone offensive assistant retained from Bruce Fowler's staff, is also quite involved in the game plan. Early on, he obviously helped get new coaches familiar with the players he'd already been around. "He has an extensive background in the passing game and yet he was a guy that played one of those slots (in an option-style offense) when he was here. It's rare to find a guy that has the background in both," Hendrix said. "And then shoot, you've got (offensive line coach) Pete (Lusk), who played offensive line at Air Force, and (running backs coach) David (Sims), who played fullback and quarterback at Georgia Tech. "I wanted to take the stuff that I knew was the hardest to defend and prepare for. The difference was that we could get just as good of players as we're playing against. We couldn't get that at Air Force." Bratton's work with receivers has paid off in some big ways on offense this season. Quarterback P.J. Blazejowski has thrown a touchdown pass of at least 44 yards in seven different games this year. Furman's three leading receivers - Logan McCarter (20.2 yards per catch), Thomas Gordon (18.9) and Andy Schumpert (20.1) - have turned in long receptions all year. Blazejowski, one of 13 seniors who will be honored prior to Saturday's game, has thrown for 1,595 yards, 14 touchdowns and three interceptions. He ranks second in the FCS in passing efficiency at 179.7, leads the country in passing yards per attempt (10.85) and is second in yards per completion (17.72). "The goal is to win. You don't always know how you're going to do it, you just try to go execute and this week we ran the ball," Blazejowski said after Furman rushed for 363 yards in a 28-6 win at Western Carolina on Oct. 28. "Hopefully we can just keep it rolling."